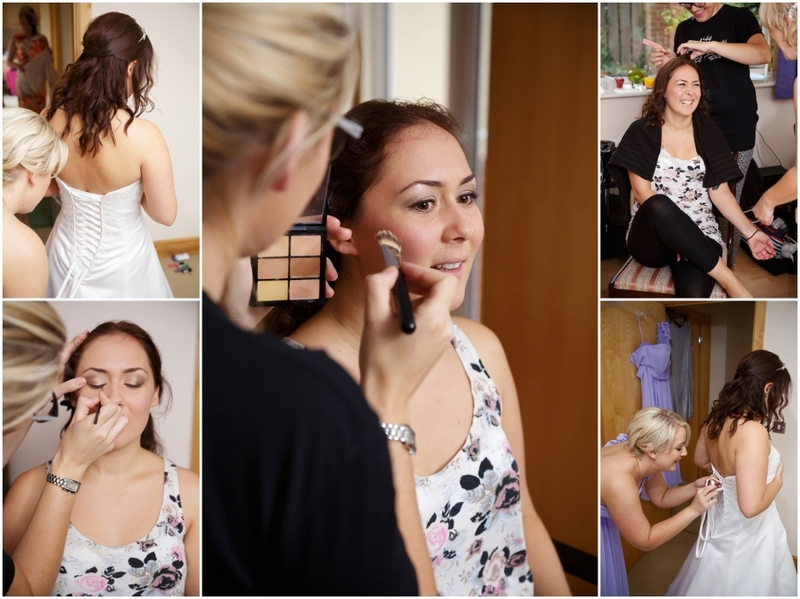 Carmel started preparing for her wedding in St. Bonaventure’s Church at her Mum’s house in Bristol, along with her bridesmaids, mum and gran enjoying a girlie morning together with hair, make-up and lots of laughter. Uncle Brendan stepped in to give her away and he couldn’t have been more proud of her, travelling with Carmel to St. Bonaventure’s Church in Bristol and then walking her down the aisle. 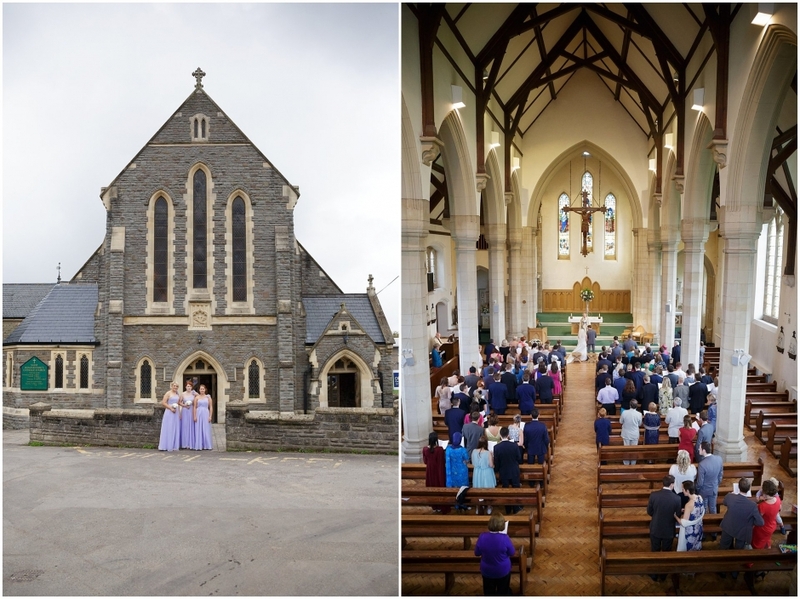 St. Bonaventure’s Church is an excellent venue for a wedding ceremony, with lots of natural light and its airy spaciousness allows a variety of photography angles and discrete movement around the church for the wedding photographer. I was even granted access to the elevated seating at the back of the church afforded a unique vantage point for a few wider shots of the building and congregation. The Reverend Michael Robertson, Parish Priest at St. Bonaventure’s Church in Bristol, conducted the wedding service. I’ve got nothing but praise for his approach. Rarely have I met a priest more open to wedding photography and did not impose any rules and restrictions on my unobtrusive approach to photographing wedding ceremonies. I’d love to photograph more of his wedding services. 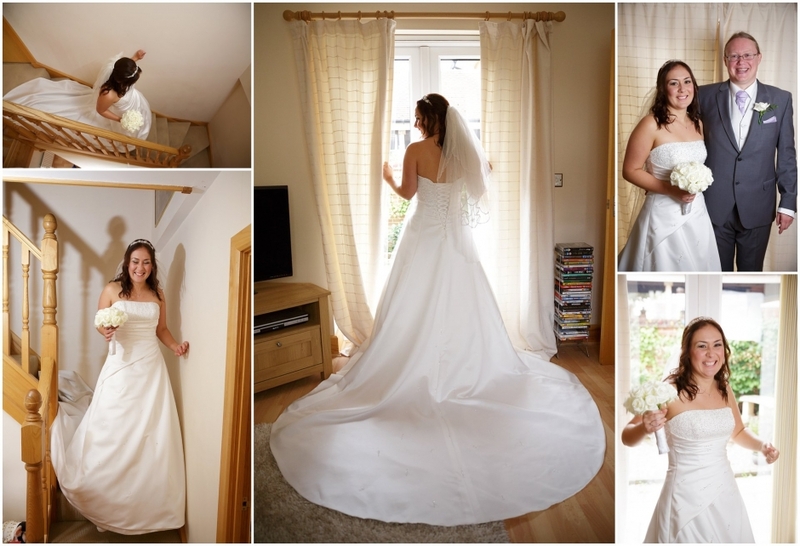 Carmel looked stunning in her dress and obviously very excited and happy to be marrying Matt. They’re great together and really fun to work with too. Two images stood out to me from their service. First, the moment when Carmel clenches her fists looking thrilled that she’s got a ring on Matt’s finger. Then the moment when Carmel realises she’s written the wrong name on the marriage certificate! Following the throwing of the confetti outside the church, we arranged the formal group shots in the small garden area to the side of St. Bonaventure’s Church. The more confined space meant we couldn’t lose guests as sometimes happens when pictures are taken at the reception venue, working quickly through the family shot list meant this took minimal time and everyone stayed happy. 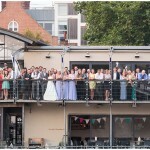 See my next blog post for pictures from Carmel & Matt’s couple shoot at Clifton Suspension Bridge and reception at Riverstation on Bristol Harbourside.